At Equimins, we’re herb fans. We use them in our herbal tinctures, in our herbal blends, and in a number of other products too as we feel that they can help to support health. In this feature, we’re looking at our joint supplements…and the herbs that they contain. Flexijoint, our popular joint supplement, is available in two liquid varieties. One has a devil’s claw base, and the other is made with bromelain…which isn’t a herb as such, but it is a derivative of pineapples! We’ve added devil’s claw (and bromelain) because of the way that they help to support joint health and ease of movement. 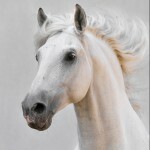 In a liquid, it suits the way that some people prefer to supplement their horse’s diet. We do sell devil’s claw as an individual herb, as a root herb and as a liquid tincture. Both can be fed to help nutritionally support bones and joints, to help them maintain their suppleness and movement. Made from the African herb Harpagophytum, the liquid tincture version helps the herb to go straight into the blood stream because it’s been provided in an available way. The dried herb version is ideal for people who prefer to feed a dry supplement. Another supplement containing devil’s claw is Inflam-E-Rase. This supplement can be fed for the nutritional maintenance of healthy bones, joints and ligaments. In addition to devil’s claw, it also contains bromelain, important B vitamins, organic minerals and fourteen different herbs (Boswellia serrata, yucca, acacia catechu, bay laurel, turmeric, skullcap, nettle, celery, burdock, dandelion, clivers, chamomile, ginkgo and meadowsweet). Many of these herbs appear in our Mobile Mover Herbal Liquid Tincture (containing devil’s claw, hawthorn, burdock, nettle, meadowsweet and clivers) and Mobile Mover Herbs (containing devil’s claw, clivers, nettle, celery seed, chamomile, dandelion, burdock, meadowsweet and ginkgo). 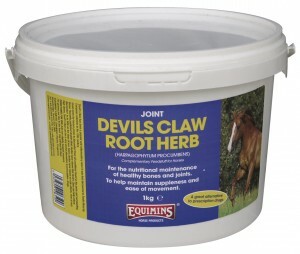 Both of these products help to maintain healthy joints in horses using herbs alone. To find out more and to see our full range of joint supplements, visit the website.